BCBs musicians are not hired guns or interchangeable parts, they are a professional band of established artisans. 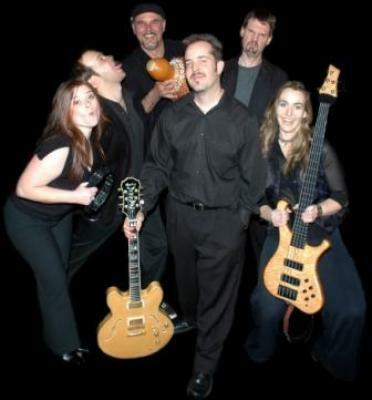 BCB doesn’t play the usual tired material, they are passionate and have a sound of their own. They spice up their shows with audience interaction/participation, medleys, segue ways, and mashes so there is never a dull moment. BCBs song list ranges 13 hours of the best music from the last 50 years and focuses on styles they do best: Pop, Modern/Classic Rock, Funk, R&B, Jazz, Swing, Rap, Motown, 80’s, Folk, Adult Contemporary, and Singer/Songwriter. BCB is modern, but they love the classics; paying homage with fresh interpretations or with dead-on precision; whichever approach works best. BCB thrives on versatility: every audience is different and they have the flexibility to meet virtually all stylistic, logistic, or budgetary requirements. Any party regardless of size can benefit from BCBs services; be it solo, duo, or trio at a winery or a house party, or as a full band production with staging, light show, DJs for breaks for corporate parties up to 1000. BCB plays approximately 100 dates a year ranging from concerts and nightclubs, to festivals, fairs, parties, weddings, and corporate events. With 15 years professional experience, they know how to get the party started. BCB are not just a cover band, both in the way they approach covers and because they are also established songwriters and performers of their own music with 3 commercially released recordings, TV/Movie placements, publishing deals, and equipment endorsements to their acclaim. This entry was posted in Party Bands, R&B, Rock. Bookmark the permalink.